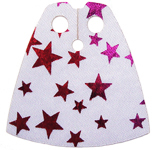 Our website containes over 50 designs of capes, many with over 20 colours to choose from. Browse through our shelves which show minifigs wearing some of the capes we offer or use the menu if you know what you are after. Lego have brought out a large General Grievous and have neglected to include a cape. So I have created 3 versions for you to choose from to make it look even better. Is there a cape that we currently don't make? 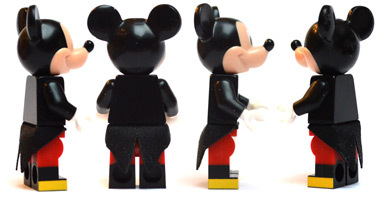 Well, get in contact as we are always willing to create replacements for any minifigures as well as custom designs. 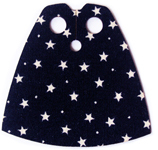 One of a number of friends capes that we are adding to our store. Lego make a number of tents and we are making a range of colours that fit the Lego frame. Custom capes for Lego minifigs. Ideal for collectors or everday play. 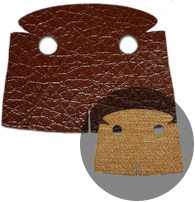 They make an ideal replacement for damaged originals or see our unique designs. Made from tartan ribbon hence the pattern will differ so images are examples only. 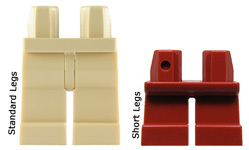 This differences are not noticeable when placed on the minifig. All the capes are double bonded polycotton (except White) so are identical both sides. Savings can be made for purchasing bulk quantites of individual colours; to benefit from these discounts, enter the total number of capes in the form below, not within your paypal cart. These capes are for minifigures with short legs. All the capes are double bonded polycotton (except White) so are identical both sides. Savings can be made for purchasing bulk quantites of individual colours; to benefit from these discounts, enter the total number of capes in the form below, not within your paypal cart. All the capes are double bonded polycotton (except White) so are identical both sides. The superman capes have a bonded logo. This was the yellow is brighter. 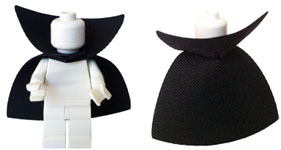 This is a cape designed for a bizzaro minifig. 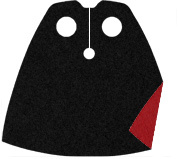 This is a cape is an ideal replacement for the tudedo tails worn by a mickey mouse minifig. These are black to match the torso. We can cut them in other colours if you would like. All the capes are double bonded polycotton (except White) so are identical both sides. Pictured below are the jagged versions along with the tattererd (also know as troll). Designed for Chima Characters. 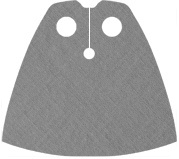 The cape is a little smaller than the similar one used for Trolls. Designed for Chima Characters. 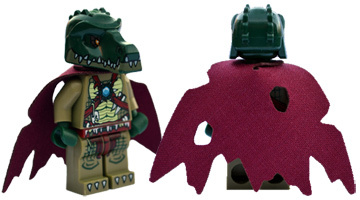 The cape is a little larger than the similar one used for Chima above. This is a cape designed for Mandalorian minifigs. It is made from laser engraved fine blue suede fabric. 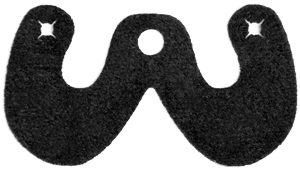 The suede is lasered off leaving the image (so no ink used). The reverse side is black. There are 2types to choose from. White on black (on the left) or White on dark blue (on the right). 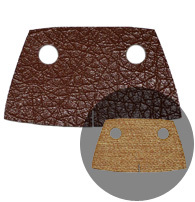 Made from 2 bonded sheets; the green camo has a dark brown backing and the lighter camo has a brown backing. These trenchcoats are available in two camo patterns which are ribbed in texture. You can fold the top for the look below or leave them with a high collar. Due to the nature of the fabric each one is unique. There are 2 types to choose from. One is the same shape as my bane cape and the other is a simpler short version. 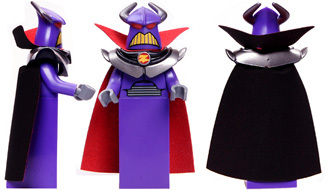 This is a cape designed for the small zurg minifigure. 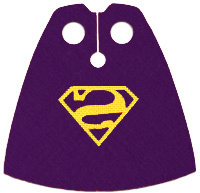 you are purchasing 2 capes (the main cape along with the top). 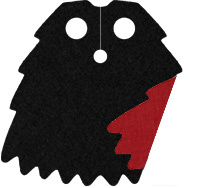 Both capes are red one side and black on the reverse. 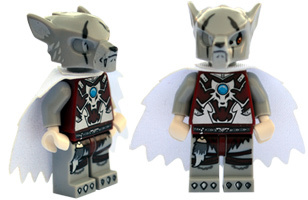 The Lego minifigure normally comes with a white version of the cape. I also make a black version in the same material that Lego use. 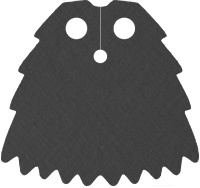 This is the same shape as our Bane cape except it has the same colour on both sides. All the capes are double bonded polycotton (except White) so are identical both sides. This cowl is the same shape as the one on the small zurg. All the capes are double bonded polycotton (except White) so are identical both sides. 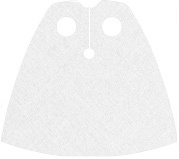 We shall be added photos soon, however it will be the shape below so in the meantime just see our other capes for an idea of colour. This is an ideal replacement for lost or damaged ones or if you wish to customise using non standard colours; they are made from polycotton not the spongy material that Lego use for their versions. 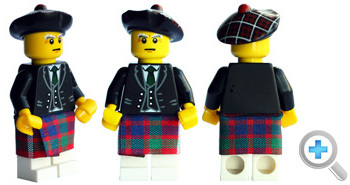 Minifigures below are modelling marigold and bright red versions. 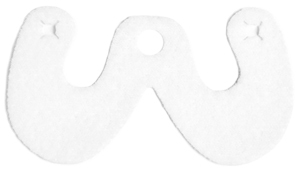 This is an ideal replacement for lost or damaged ones or if you wish to customise using non standard colours; they are made from polycotton not the spongy material that Lego use for their versions. Minifigures below are modelling blue and dark blue versions. 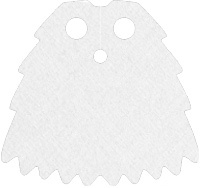 We currently offer ghost style capes in 8 colours if you would like a change from the grey. 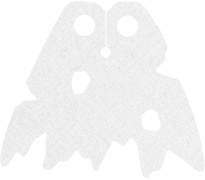 LEGO, the brick configuration, and the minifigure are trademarks of the LEGO Group, which does not sponsor, authorise or endorse this Web site.